TalentC is wholeheartedly involved in the International Mentoring Community, which sets the standards and verification system (Certification) to produce competent mentors. What is the International Mentoring Community? Mentoring is defined as a two way trusted relationship where the mentor and mentee learn and grow together on a personal and professional basis as the mentee draws appropriate ideas and insights, and tools and techniques from the lived experience of the mentor. Community is defined as a group of people having a particular characteristic in common. A community helps prepare people for challenges that lie ahead. There is a feeling of fellowship as a result of common attitudes, interests, and goals. The International Mentoring Community is the premier mentor community to learn about the advantages and benefits of mentorship, mentoring, serving as a mentor, and becoming a mentee. It offers resources and tools to identify the ROI to support the implementation of a customized workplace mentoring program. Of particular importance in the fast paced work places of today, mentoring is a way to reduce employee turnover costs association with termination and resignation. The International Mentoring Community offers certification about mentorship concepts, experiences, and the practices of serving as a mentor. What is the Mentor Certification Process? The Mentor Certification Process provides mentors and mentees with a deeper, richer experience. The Mentor Certification Process is framed by “68 Action_Outcome Statements.” These statements highlight a series of actions and outcomes used to confirm competence of a mentor and/or implementation-evaluation of a workplace mentoring program. Organizational managers and leaders to create a mentoring blueprint from which they become more effective and relevant in their managing and leading while producing competent mentees at a faster rate. Mentors whatever their position will encounter a deeper, richer personal and professional experience that informs how they will engage and recognize their mentees. Mentees to access practical action and outcome suggestions based on the lived experience of their mentors. Business to co-create situational-based learning environments whereby the mentor-mentee are learning together that result in higher engagement and a lower turnover rate. The International Mentoring Community offers managers, leaders and employees access to the Mentor Certification Process, which creates a movement that follows the Mentoring Blueprint: Guides you to manage a mentoring platform, programs, and movement, inform Move-Forward actions for mentors and mentees, nurture collaborative conversations among those involved, improve application of organizational knowledge shared by mentors and mentees, strengthen organizational productivity through actions taken by mentors and mentees. Doug shows organizations how mentoring will encourage workforce culture to flow in harmony (mentors), improve productivity from employees (mentees), reducing costly employee onboarding impacting the bottom line (organizations). Doug is an international speaker and author about all facets of Mentoring. 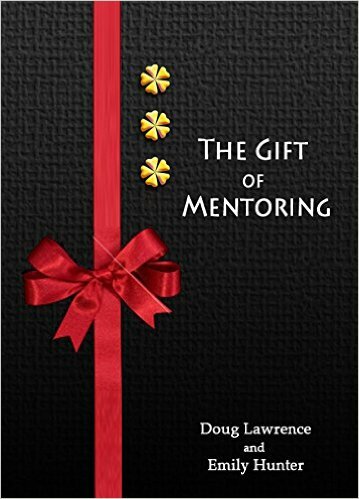 He published “The Gift of Mentoring” in 2014 with his second book is set to publish in 2019.